Helping companies of all sizes to grow faster. Expand in local market and enter overseas markets. Find new better ways to protect businesses with reduced uncertainty. 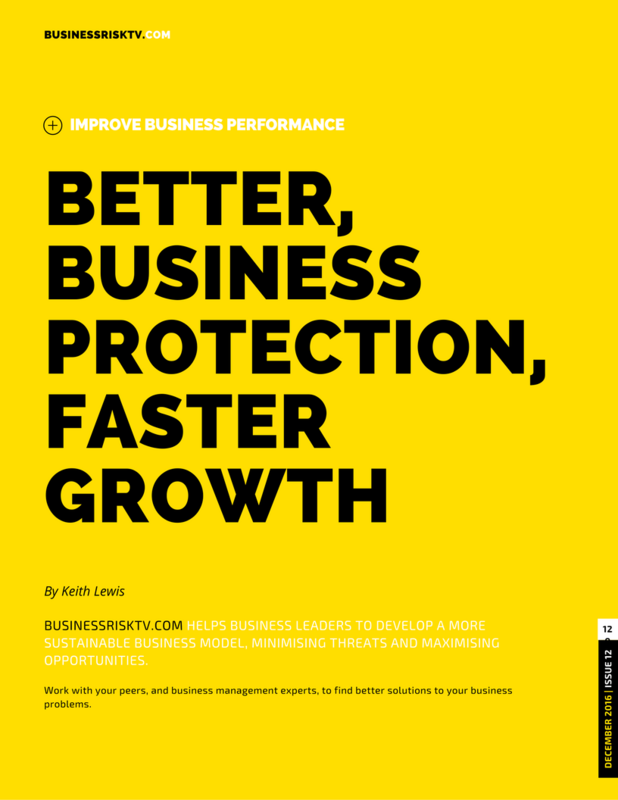 Build business resilience and improve performance. Understand risk taking governance regulation and compliance more. Take more perceived risks to achieve the business results easier. We will tell you about the threats and opportunities facing your business. You can assess the risks with more confidence to grow faster with less uncertainty. BusinessRiskTV takes the latest best local and global business and economy news current affairs and political articles from the UK and around the world and expertly edits them together into one online magazine with accompanying live and on demand video. Inform your business decision making to develop a better business strategy for your business. Subscribe to BusinessRiskTV today for free. Get the very best of British and international news opinions and debates. Read and watch business risk insight to the top business and economy news stories from BusinessRiskTV. BusinessRiskTV is bringing together the best of the British and international business and economy news to help business leaders manage business risks better. Get everything you need and want to know about business risk management. Most business leaders need to make decisions with incomplete or inadequate risk information. As a result business leaders can take inappropriate risks for the business. How you or your leadership perceive corporate risks can and should influence how much risk you take to achieve your business objectives. However maybe your risk perceptions are greatly divergent from actual risk levels. You maybe avoiding or controlling business risks that are adversely affecting your business performance unnecessarily. On the flip side you maybe accepting risks that are foolhardy at best and survival threatening at worst. Sometimes ignorance is bliss! However it is surely better to take risks knowingly rather than dangerously? Develop your risk knowledge and business intelligence with BusinessRiskTV to maximise the return on your existing assets. Achieve the right business objectives more easily with less uncertainty. Transform your business. Innovatively disrupt your marketplace. Take the right level of risk for your company. 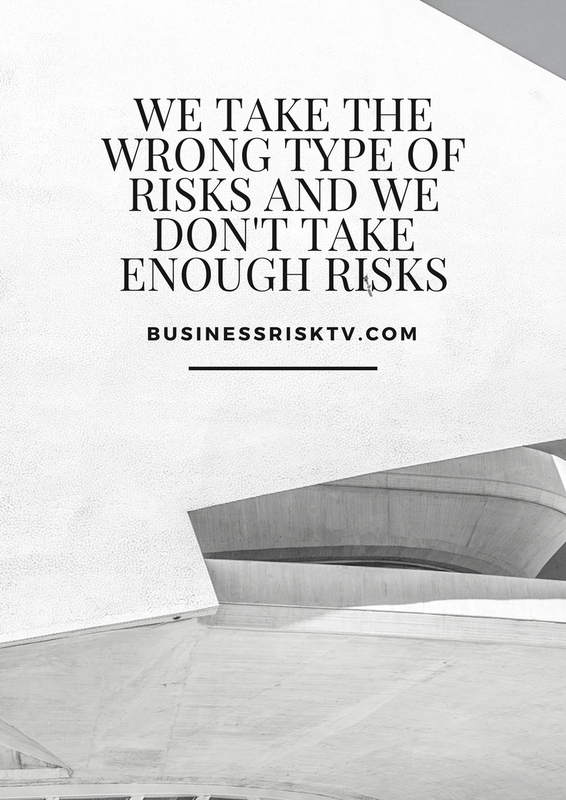 BusinessRiskTV works internationally in partnership with like minded risk professionals. Business leaders and entrepreneurs passionate about business protection and growth. Developing enterprise risk knowledge and business intelligence. Helping others make more risk based informed business decisions. Encouraging intelligent positive risk taking to achieve more with less uncertainty. Creating new business opportunities. Building leadership connections. Engendering a world where risk is a good a good positive word. Do not fear risk embrace it. Working globally and locally online in the field of enterprise risk management. Each year we connect with more people. We help business leaders entrepreneurs and risk professionals with the best practice risk management principles practices and procedures both overseas and in the UK. We aim to help you manage risks better in your country and across many industries. Get help to develop and embed enterprise risk management ERM. Develop a new risk management strategy for your business. Improve operational and project risks for greater enterprise success. Build your personal and corporate skills managing risks and improve risk awareness across your organisation. Identify new emerging risks earlier. Assess how to manage existing risks which are changing in terms of impact on your business objectives. Network and communicate with other business leaders, entrepreneurs and risk professionals to expand your new business development opportunities. Work more with us to achieve more with your existing resources. Helping you meet the challenge of managing enterprise risks in a holistic enterprise wide risk-based decision-making manner. Business enterprise risk management consulting services. Our goal is to work with you to increase the value of your business. We help businesses to manage risk better and enhance their performance across strategic, operational and project risks. With our network of risk management experts we can help you solve complex risk threats and opportunities to help enhance enterprise performance. BusinessRiskTV Risk Consulting Services help business leaders minimise threats to business objectives and seize new business opportunities. Follow the latest business news headlines risk analysis and risk debate #RiskDebate. What are the emerging corporate enterprise risks facing business leaders? How are you going to manage external and internal threats to your business objectives? What business opportunities are you currently missing-out on? 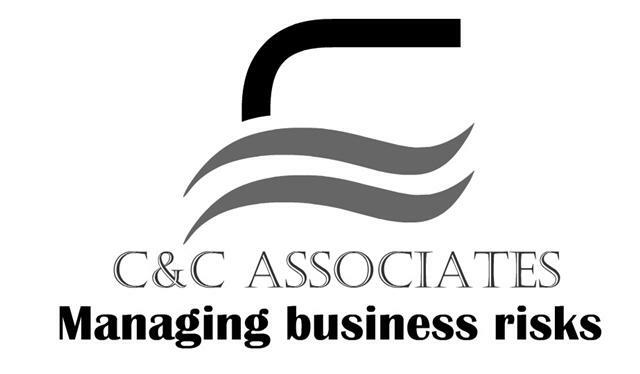 Access business management tips advice and support. 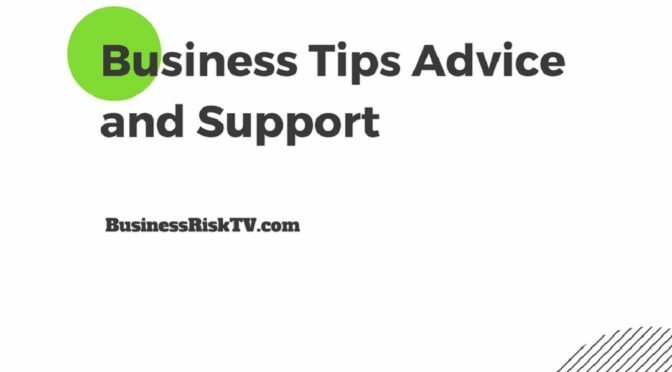 BusinessRiskTV.com and its business partners will use it to contact you regarding enterprise risk management tips ideas and opportunities. Help us to help your business grow faster. Keith Lewis is the founder and developer of BusinessRiskTV. In addition he is a highly experienced risk management consultant providing risk management training and consultancy work across many industries for 30 plus years.